Working with clay is a relaxing, creative hobby. The Clay Studio, the popular Old City spot perfect for making your own crafts and seeing exhibitions of ceramic art, is hosting a special community event Saturday, September 12. Presented by PNC Arts Alive, Clay Fest, a free, all-ages, all-day exploration of clay activities, will have everyone getting a little messy and having a lot of fun. 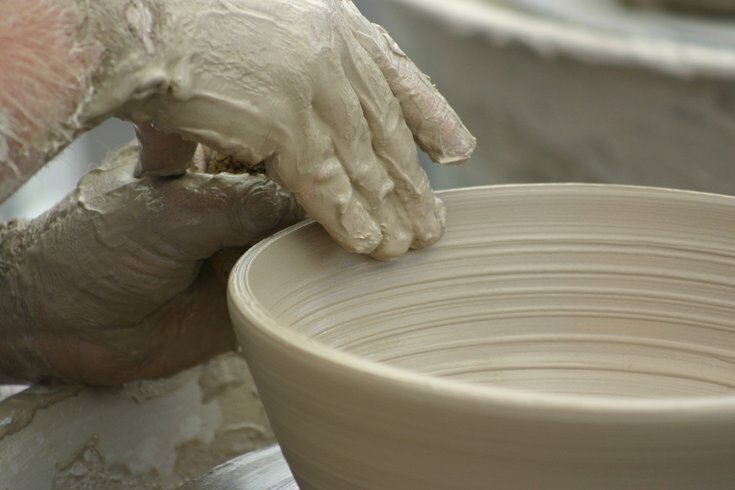 To start it all off, guests can learn how to throw on the pottery wheel from 10 a.m.-4 p.m., something that's an absolute must for adventurous art lovers. During this time, teams of artists will use two tons of clay to create works of art in front of your very eyes. In between activities, guests can tour The Clay Studio’s galleries, school and artists studios at 11:30 a.m. and 1:30 p.m.
From 10 a.m.-1 p.m., guests can make a clay animation movie and help create one giant clay sculpture with the rest of the festival attendees. From 1-4 p.m., guests can decorate bowls and try out Lil Pop Shop's mini pops to end the day.